News from FLYfx can be found here, plus a few surprises. The Smoke 2010 2K upgrade is here! FLYfx is thrilled to announce that we have upgraded our Smoke 2K system to the brand new 2010 version. 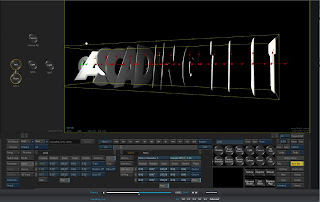 New features include many workflow improvements, cascading text effects, R3D support and a full 16 bit batch workflow. Come on down and get a demo! Got a minute? Visit our website at www.FLYfx.net How impossible is YOUR next visual fx project? Brought to you by all the fine folks at FLYfx. How impossible is YOUR next visual fx project? FLYfx does high-end visual fx and finishing for commercials, film and television. We now provide HD Video shoots including FLYing cameras on our new Steadicam! Smooooooth. Stories from my illustrious career. Subscribe To the FLYfx Blog on RSS!